Welcome to Movie Star Restaurant! 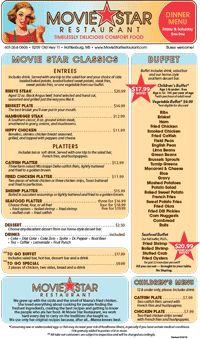 We take pride in serving the freshest buffet and dinner in town, just the way our momma made it. 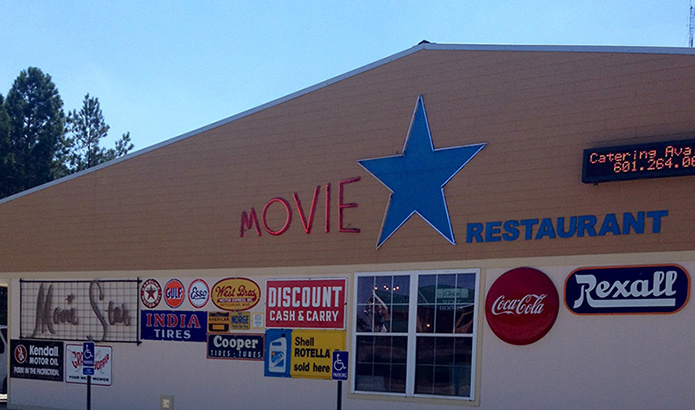 At Movie Star Restaurant we believe that the classics are the best. That's why you can find everything from fried chicken like your momma made it to good ole fashioned Southern hospitality at Movie Star Restaurant. The story of Movie Star Restaurant begins with our mother. She started out cooking at a gas station in Purvis and made herself famous with her fried chicken and sweet nature. From there we moved into the old Movie Star lingerie factory building. We eventually built a brand new building, but we loved the name so much we kept it. We've continued the traditions our mother passed down. 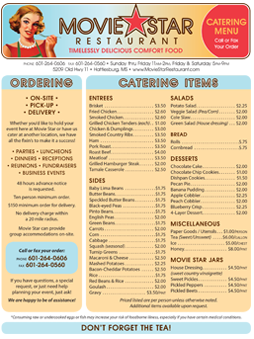 We make your food fresh daily with the best ingredients we can find. We welcome every customer as a friend -- and many have become friends over the years! 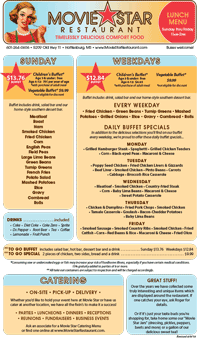 We're thrilled to be included in the best buffet rankings for Mississippi for the last several years in a row. We're the home of the best fried chicken in Hattiesburg and we believe that all food should be made fresh with love. All of our recipes come from our mother and her friends, which means they're authentically Southern in a way you won't find anywhere else. We're famous for our tastebud tingling lunch buffet, but we're also a great place to take your family out to on a Friday night. Over the years we've collected some truly interesting and unique items. And most of the great stuff displayed around the Movie Star Restaurant is for sale ... signs, bikes, collectibles and antiques! For details, ask for Roger. Or if it's just your tastebuds you're shopping for, take home some of our "Movie Star Jars" (dressing, pickles & more) or a gallon of our delicious sweet tea!